All SUMMERFIELD PH 3 homes currently listed for sale in Riverton as of 04/26/2019 are shown below. You can change the search criteria at any time by pressing the 'Change Search' button below. 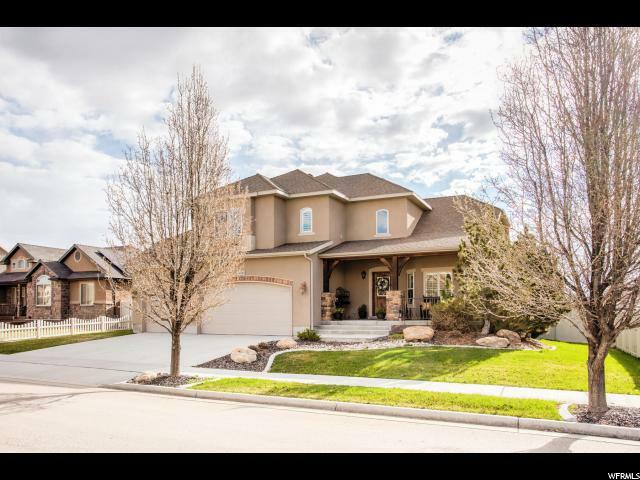 "Beautiful, well-built, energy efficient Ivory Home in quiet Riverton neighborhood. This 3 bed, 2.5 bath home features many upgrades, including an open/spacious floor plan, tall ceilings throughout (9' in basement and upper floor - taller on main), lots of canned lighting, 2 sinks in master bath, huge 6' jetted tub in master bathroom and upgraded kitchen with granite counters, stainless appliances and huge pantry. The family room features Dolby 5.1 surround sound built-in and is fantastic for movies. Master bedroom has an amazing view of the mountains! The home also features an oversized 3 car garage, a large, fenced backyard with shed/playhouse (that is powered and has cable TV run to it) and uses secondary water for low water bills. This home has excellent freeway access and is close to parks, shopping & restaurants. Riverton's Old Farm Park is a couple of blocks away and has playground equipment, a splash pad and lots of open space. Riverton City Fishing Pond is also a couple of blocks away! This home has it all!"